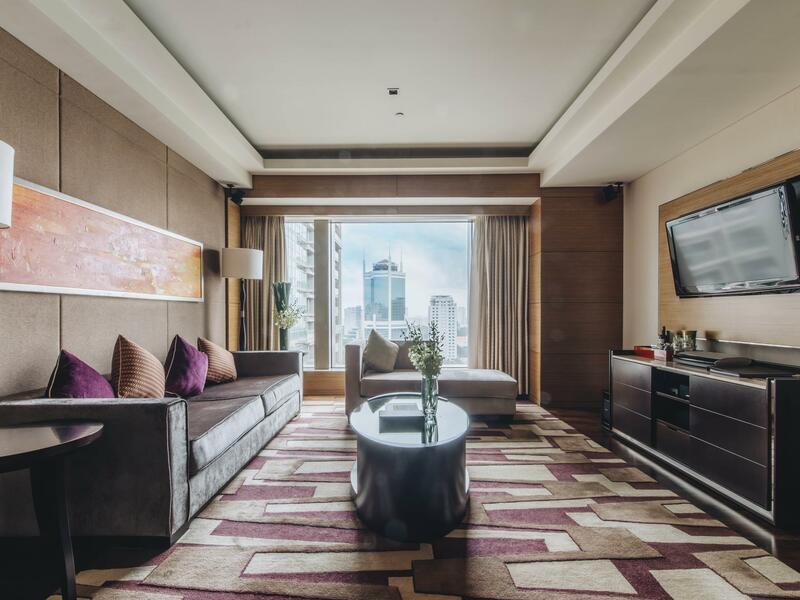 ﻿ InterContinental Saigon, Ho Chi Minh City - SAVE ON AGODA! "The hotel rooms and generous and well equipped with working..."
"Overall my experience was a good one." "Great hotel in the perfect location - very nice room, hot water plentiful, breakfast great!" 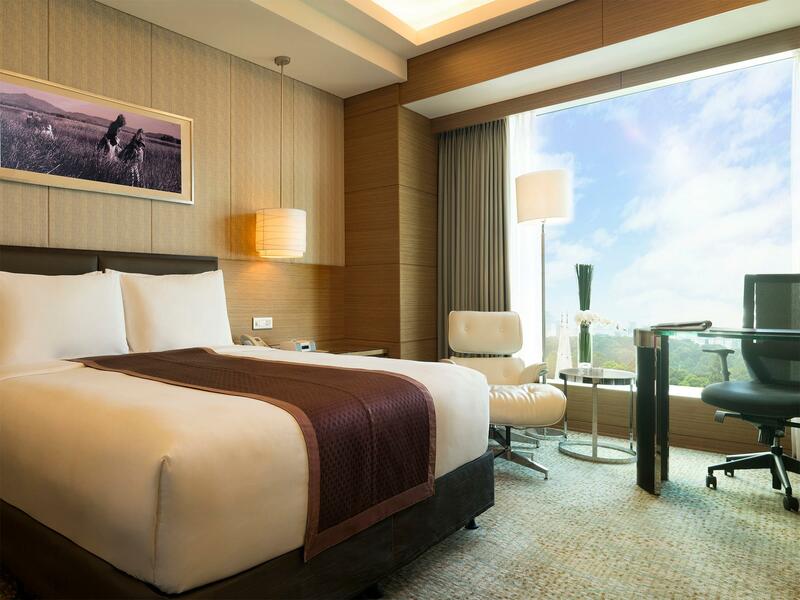 "You will like thid hotel when come stay"
Located in downtown Ho Chi Minh City is Intercontinental Saigon, which offers luxurious accommodation with leisure facilities including a 24-hour fitness centre. Intercontinental Saigon is linked to the M Plaza Saigon, which offers a variety of retail options. It is also close to several historical and cultural attractions including Notre Dame Cathedral, Ben Thanh Market and Reunification Palace. 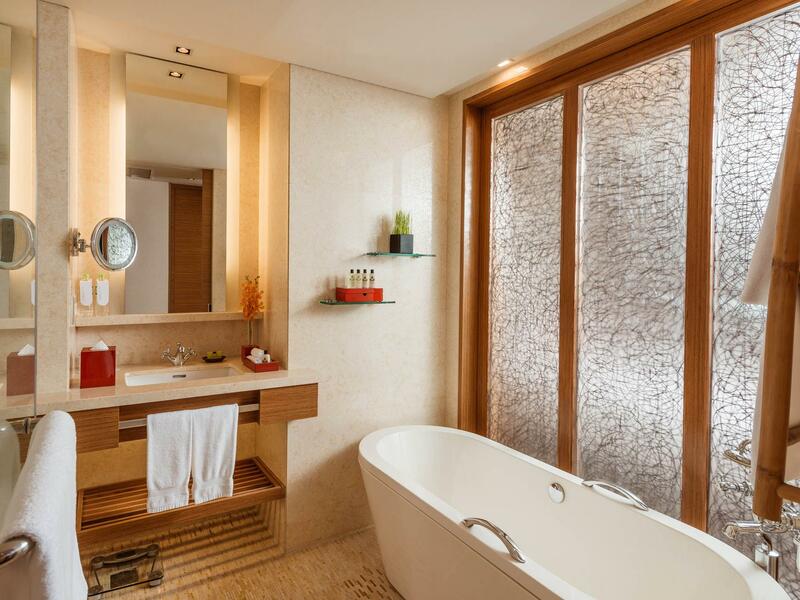 Rooms feature floor-to-ceiling windows and marble bathrooms with a separate rainforest shower. Rooms are also fitted with ample workspace, an iPod docking station and DVD player. Turndown service is also offered. The Spa Intercontinental Health Club at Asiana boasts state-of-the-art equipment and luxurious signature spa treatments. Yoga classes are available on request. Enjoy a meal at Intercontinental Saigon's on-site restaurant offering a variety of Cantonese, Vietnamese, French and South East Asian cuisines. You can also relax with a refreshing drink at The Library or Purple Jade. Children Policy: - Children from 6 to 11 years old are charged USD 22.5 (*) (excluding breakfast) per child - Children from 6 to 11 years old are charged USD 30 (*) (including breakfast) per child - Children from 12 years and above are charged USD 45 (*) (excluding breakfast) per child - Children from 12 years and above are charged USD 60 (*) (including breakfast) per child (*) Please note prices above are subject to taxes and service charges. Prices above are charged separately and guests are to pay directly to the hotel. Any type of extra bed is upon request and needs to be confirmed by management. Overall my experience was a good one. The room was big and comfortable. I always have a good sleep at the InterContinental. The bathroom was well designed and quite ergonomic with good amenities. The gym and pool. area were welcoming with the latest and comprehensive equipment. However, when we checked in, the the receptionist was not friendly and welcoming at all. I didn't expect this from the InterCon brand. I felt that I was imposing. The door men, concierges and the bell-hops were welcoming. While the breakfast spread was good and had a wide selection, the lunch was terrible. I ordered a sandwich and it tasted like it was bought from the convenience store, heated and served to me. I gave my feedback and the service recovery was good as the manager was empowered. Though I live in Ho Chi Minh, I sometimes would like to enjoy a bit 'modernized' moment at special occasions. I stayed here for Christmas. That was a perfect choice. During Christmas holidays, night traffic jam in the city makes you effectively immobile even with motorbike. The location matters a lot. From this hotel, beautiful post office building, church, Diamond Plaza department stores, and a cozy bookstore alley (my favorite), cafe, many things are within 5 minutes walk. Inside hotel complex, an Italian restaurant located at the lobby of residence tower gives you a very nice charming Christmas atmosphere. Location of the hotel is great - the opera house, main post office, and Notre Dame Cathedral are some of the main sights within walking distance. No need to walk far for great Vietnamese food too. The hotel's breakfast buffet has sufficient variety to suit all taste. The gym is well equipped and has a good range of cardio machines to workout with, and was never crowded when I was there. Room is well appointed and TV has good selection of channels to choose from. Only complaint I have is that it takes a while to get the right water temperature in the shower. Stayed here for 2 nights and i had a great outstanding stay. Staff are very attentive and will quickly respond to any concerns you have. Breakfast has many selections and very filling. Adjacent to Hard Rock Cafe and other establishments to have a snack. short walk to opera house or Cathedral. Highly recommend this Hotel. Many times i visited HCM but never stayed in this hotel. I know the brand from Da Nang, Vietnam. Already when we arrived we felt like VIP. They offered upgrade to the suite for only US$ 100. With all the add benefits was this very cheap. We enjoyed the happy hour at the club - free drnks & food. The room was just amazing. As an Priority Club club member I'd have to say this is the best IHG Hotel I've stayed at to date. I normally stay at the Holiday Inn but I think the Intercontinental chain might be even better. The rooms are fantastically comfortable with large bathrooms and luxuriant beds. The breakfast buffets are fantastic and if you're someone who likes to swim the pool at this hotel is great for doing laps. Definitely I'll be back again. Very nice hotel, Would be good if they had a working usb connection. 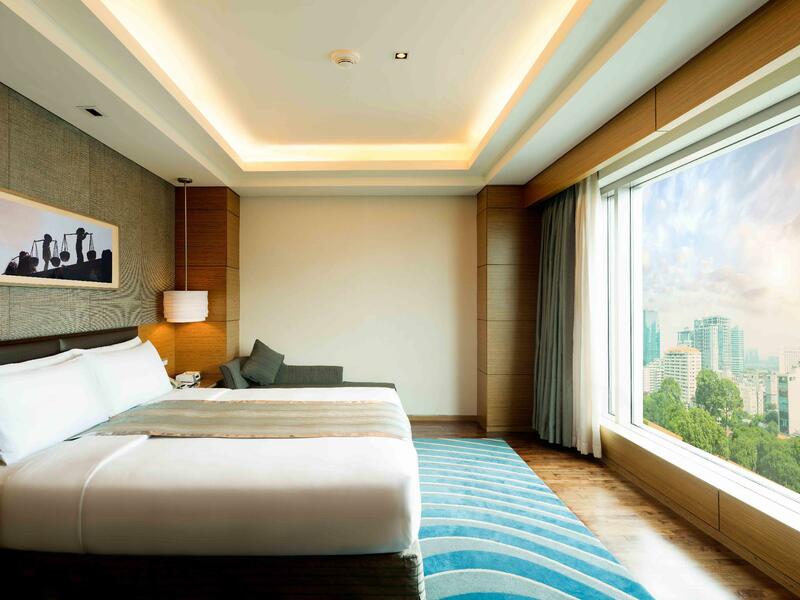 The hotel rooms and generous and well equipped with working space and other amenities. Staff helpful and attentive. Proper five star service. i was booked this hotel for my Boss, nice hotel. Ver nice staff, breakfast, quality of the food, quality of the bed. A little bit noisy ( loud music) at night, i didn’t know where the noise came from. This hotel is great all-around. Prime location in the city. The facilities are great. The pool is nice and staff bring water and cold towels around frequently. The spa is amazing! We did massages and facials and both treatments were great. The rooms are spacious and clean. Great breakfast selection as well. Great hotel in the perfect location - very nice room, hot water plentiful, breakfast great! One complaint - the buildings block the sun from the pool area for a lot of the day :( not exactly their fault!